What's that you say? Our Canterbury competition wasn't enough and you'd like another one? Ah, what the hey - it's Christmas after all - sure why not. This time we have a copy of the new book 'A World in Conflict: The Global Battle for Rugby Supremacy' by Geoff Parkes, who's article on The Roar we recently included in our 'Front Five' feature, to give away. 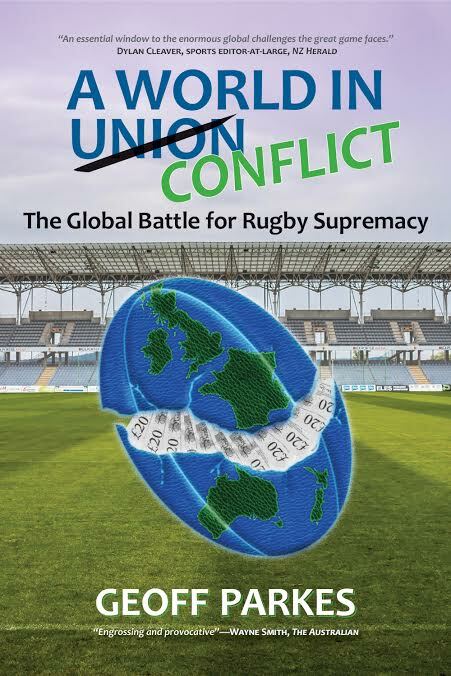 Power and influence in rugby is shifting away from its historical tie to international on-field success, much of it in the southern hemisphere, to the boardrooms of cashed-up, influential rugby clubs in the UK and France. A confused rugby calendar is subjected to a 'land grab' from clubs and national unions, all striving to maximise revenue. Player welfare concerns are cited by all and sundry, yet are cast aside as soon as there is a dollar to be made. Told through the eyes of rugby identities from around the world, this is a fascinating story of a once staunchly amateur sport now fully engulfed in the clutches of professionalism--the future uncertain and the fabric of 'the game they play in heaven' straining under the excesses and ambitions of rugby's new powerbrokers. 2. Using the subject line 'Rugby Book', send your answer and name to us by email at paganoblog@gmail.com before midnight on Thursday, December 21. 3. Cross your fingers and we'll let the winner know by lunchtime Friday!!! Note - delivery will be after Christmas.